Here are the templates for all the tastes. They are created on different subjects, so you can choose whatever you like. 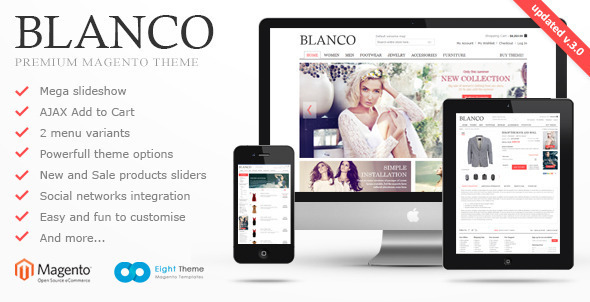 You can use Blanco theme anywhere in Ecommerce. 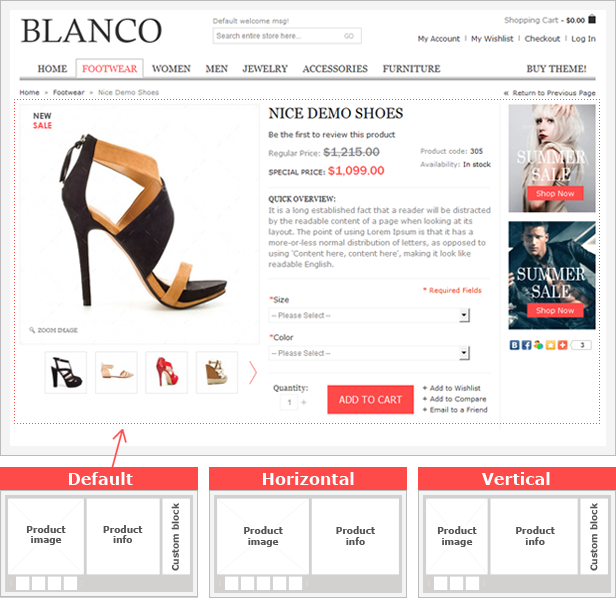 Through the administrator the panel you can change products conclusion on page Grid. You can put that 3 or 4 products would be deduced. 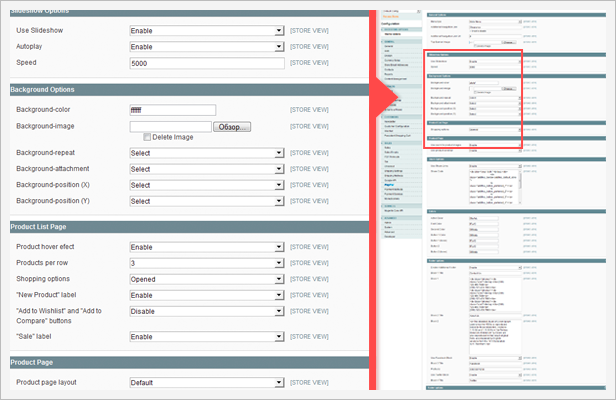 You can expose which picture will be a hover and which static through admin panel. It’s very conveniently and showy. Fixed : Review tab open by click. 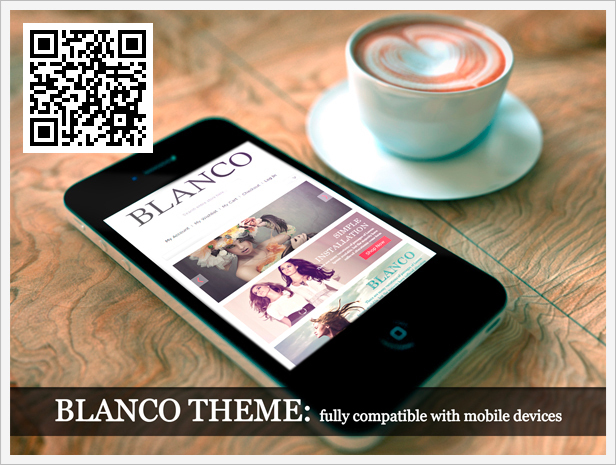 Fixed : Mobile menu after resize. Fixed : New/sale ribbons showing logic. Fixed : Redirection when view site in frame. 1. Total price on bundle products. 3. 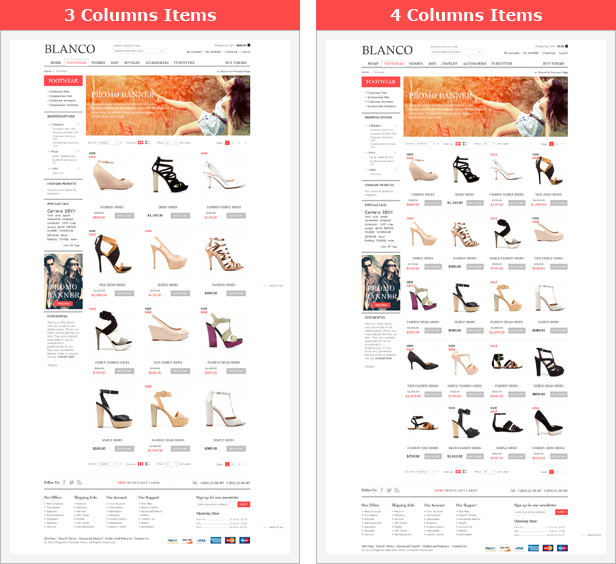 Thumbnails for products are visible while vertical layout.